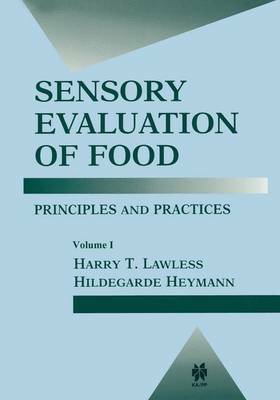 The field of sensory evaluation has matured in the last half century to be- come a recognized discipline in the food and consumer sciences and an important part of the foods and consumer products industries. Sensory pro- fessionals enjoy widespread recognition for the important services they provide in new product development, basic research, ingredient and process modification, cost reduction, quality maintenance, and product op- timization. These services enhance the informational support for manage- ment decisions, lowering the risk that accompanies the decision-making process. From the consumers' perspective, a sensory testing program in a food or consumer products company helps ensure that products reach the market with not only good concepts but also with desirable sensory attrib- utes that meet their expectations. Sensory professionals have advanced weil beyond the stage when they were simply called on to execute "taste" tests and to provide statistical summaries of results. They are now frequently asked to partleipale in the decision process itself, to draw reasoned conclusions based on data, and to make recommendations. They arealso expected tobe weil versed in an in- creasingly sophisticated battery of test methods and statistical procedures, including multivariate analyses. As always, sensory professionals also need to understand people, for people are the measuring instruments that provide the basic sensory data. People are notoriously variable and diffi- cult to calibrate, presenting the sensory specialist with many additional XV :xvi PREFACE measurement problems that are not present in instrumental methods.